Make a Plan. Although I never plan! It really can help you add more creativity if you think about it in advance. Search for Ideas with the Ingredients You Have. So often we can have a cupboard full of food and nothing to eat. Chelsea encouraged either searching Pinterst or Google with the ingredients you already have. Be Inspired by the Thing Around You. There are 1000s of ways to be inspired everyday! Try recreating things you see at restaurants, great looking meals you see on TV or that wonderful meal you ate at a friend’s house. 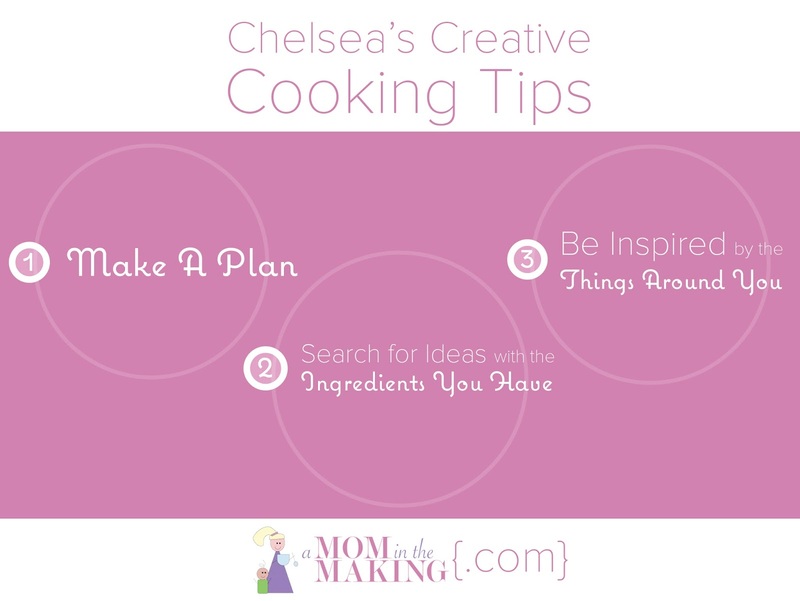 Make sure you come back Monday, we’ll have a podcast episode with Chelsea sharing more about Creative Cooking for Moms.